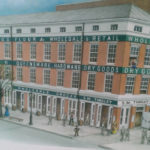 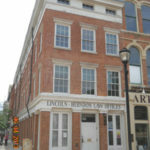 Lincoln Herndon – Tinsley Dry Goods Store – Melotte, Morse, Leonatti, Parker, LTD.
MMLP was chosen by the State of Illinois Capital Development Board and the Illinois Historic Preservation Agency to perform infrastructure renovations and create an interpretive adaptive reconstruction within the three-story walk-up building at the prominent corner of Sixth and Adams Street, on the Old State Capitol Plaza. 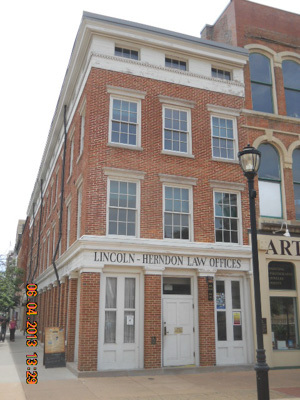 The building is the location of Abraham Lincoln’s Law Office. 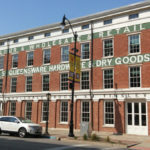 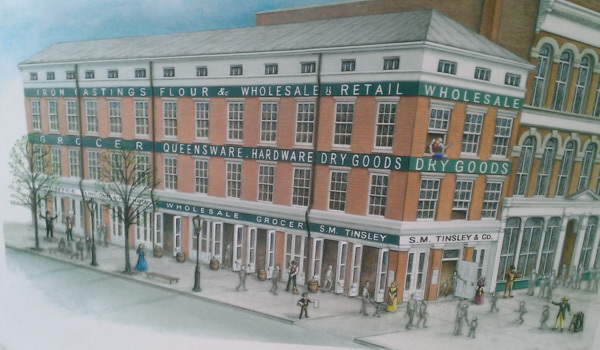 This building also housed the Tinsley Dry Goods Store, where a young Lincoln worked. 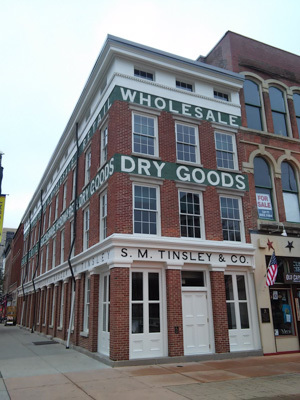 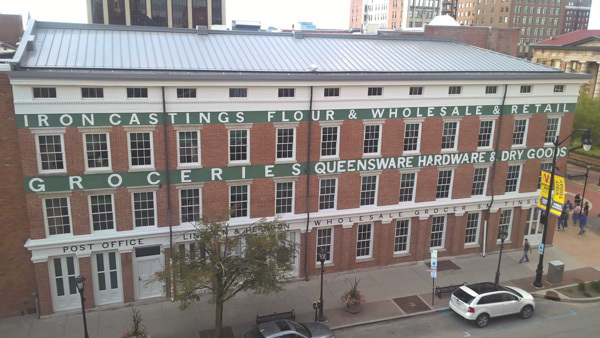 The project involved completely gutting the First Floor, a former open and inactive display space to install historically detailed shelving, counters and retail fixtures to replicate the commercial interior of the Tinsley Dry Goods Store. 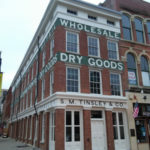 A large floor opening was created, based upon historic photographs and ‘ghosting’ of former openings, to create a three-floor atrium with recreated hoistway for materials to be lifting via ropes up and down from First to Third Floor. 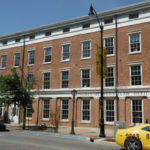 A public multi-media presentation room was created at the south end of the First Floor as a gathering orientation spot. 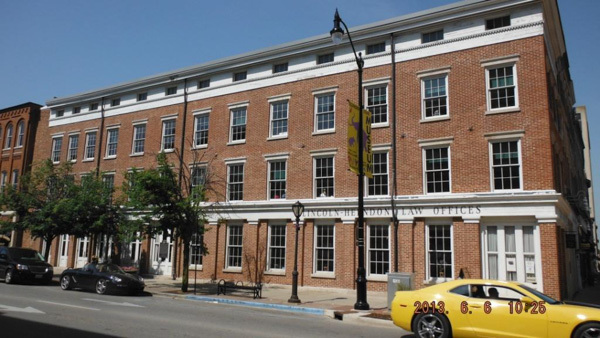 Existing small bathrooms were enhanced for full ADA accessibility, and a commercial storefront were carved out in a storefront location for a future gift shop or Illinois Products expo. 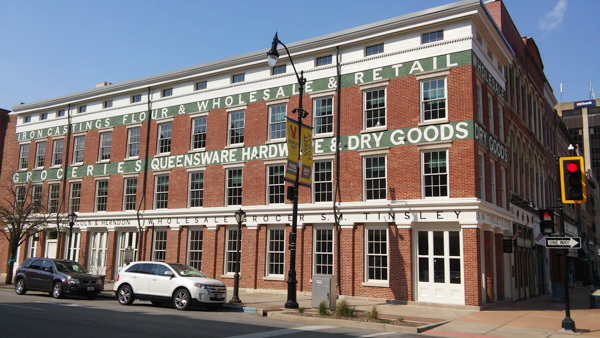 As part of the project, the three-story façade was addressed; existing windows and main entrances were replaced and repaired. 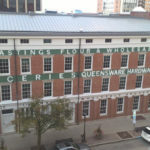 And based upon discovery of an historic woodcut, the original painted sign bands were reproduced in green and white per historic investigations – and the new facades are a lively highlight on the downtown streetscape.